In cities like Seattle, bed bugs are unfortunately commonplace. The instance of bed bugs infestations in Seattle just keeps on growing. In fact according to Kind5.com, in January of 2013, Seattle was named the 13th worst city for bed bug infestations. Bed bugs are so tiny and it is so hard to spot them. Luckily for you we have the best bed bug detection dogs in Seattle, and their keen sense of smell makes them a lot more accurate than humans. Our detection dogs are trained at the most prestigious training center in the entire country, and we keep them focused with continual daily training as well. Our dog Magic, is accurate 97% of the time. Dogs are amazing creatures and their nose helps them to detect bed bugs that just cannot be seen by humans. 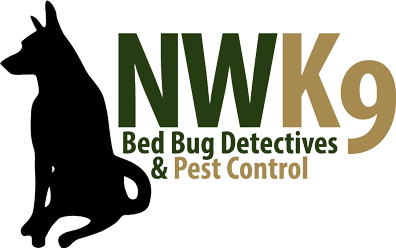 There is no better way to make sure that your house is clean, then by utilizing the best bed bug detection dogs in Seattle. If for any reason, you feel that you have bed bugs in your home, call today. These bugs multiply at incredible speeds and they can quickly cause a very frustrating, stressful situation that could have been avoided with earlier detection. Call us today to schedule your inspection.